Take the time to say hello, hola, bonjour, zdravstvujtye, guten tag, czesc, hej to the people you will be doing business with at Colliers. Use the tool below to contact a Colliers International employee to meet your needs. Ilija joined Colliers in August of 2014 as an Associate in the Valuation and Advisory Services department. 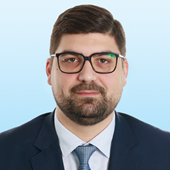 Prior to joining Colliers International, Ilija worked at Flow Plus where he assisted senior management with monthly financial reporting and account management as a Financial Analyst. Before he joined Colliers Nikola worked 5 years in sales, 3 years in local Serbian real estate agency and 2 years in a big domestic manufacturing & trading company. 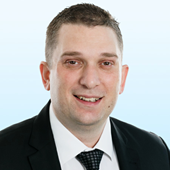 Having spent 5 years in Colliers International, Nikola joined CB Richard Ellis in 2011. He was appointed Office& Retail Senior Agency Consultant and continued to work with the biggest names in the industry. In May 2012 Nikola returned to Colliers International as a Director of the Retail Agency team. His comprehensive knowledge, enthusiasm and creative solutions enable him to match clients’ unique commercial needs in fields of offices, warehouses, and retail space. And his charming personality and genuine approach towards clients and colleagues even in situations under pressure are what gravitates people towards him as he accents a sense of trust, and thus Colliers Serbia has granted him with the Most Charming Professional award in 2018.